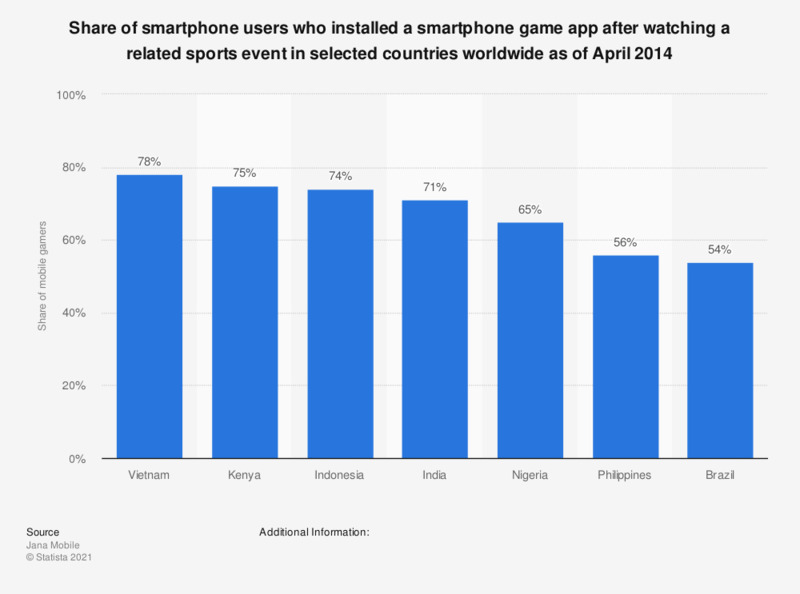 The statistic illustrates the share of smartphone gamers who have downloaded a smartphone game app after watching a related sports event in selected countries worldwide as of April 2014. Jana Mobile found 78 percent of mobile gamers in Vietnam had downloaded a game after watching a related sports event. 1,140 respondents polled across seven countries. The source does not provide further information on the survey methdology age of respondents or type of survey used). In what kind of situation do you play games on your mobile device?